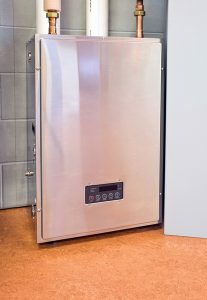 Why Do Tankless Water Heaters Need Maintenance? Tank Water Heaters: They’re big, noticeable, often noisy, and seen in the majority of homes throughout the country. With such a large presence, most people understand that these Salt Lake City water heaters need maintenance from time to time, particularly because these are often subject to scaling, which is the mineral buildup that you may hear evidence of (you’ll hear a clanging noise). Scaling causes issues with pressure, temperature, and even corrosion, leading tank water heaters to often need flushing to offset the problem. Posted in Water Heaters | Comments Off on Why Do Tankless Water Heaters Need Maintenance? Water heaters are designed to last a very long time, particularly if you give them the right level of care and maintenance. However, no matter how well you take care of your water heater, eventually it will need to be replaced. The trick is being able to identify when that time has come, so you can invest in an upgrade before it breaks down on you altogether. The last thing you want is to find out your water heater has failed after jumping into what you think is going to be a hot shower. But how do you know if it’s almost time for replacement, or you just need another water heater repair in Salt Lake City? Keep reading and we’ll help you determine just that. Is It Time to Replace Your Tank Water Heater? There are a number of options today when it comes to selecting appliances for your home, including the tankless water heater. Many homeowners, however, still utilize the very reliable tank water heater to warm the water in their home. These systems do their jobs quietly, and are often tucked away in little-used parts of the home for space-saving benefits. Unfortunately, though, being out of sight means that tank water heater problems can creep in relatively unnoticed. If your water heater is more than 10 to 15 years old, then these problems can quickly escalate to a full breakdown or emergency. When this happens, you’ll likely need a replacement, or at the very least prompt West Jordan, UT water heater services. Posted in Water Heaters | Comments Off on Is It Time to Replace Your Tank Water Heater? Should a Tankless Water Heater be Your Next Home Appliance Installation? 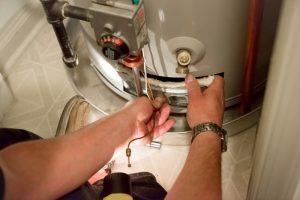 Is your home’s water heater in need of replacement? 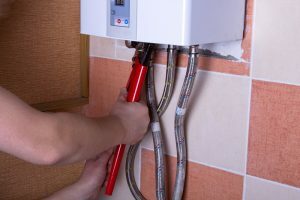 If it’s broken down recently or if you are tired of paying for increasingly frequent water heater repairs, then this may very well be the case. Whatever your reasons are for scheduling the replacement of your water heater, remember that there are far more options today than there were 10-20 years ago. There’s nobody saying that you have to stick with the same type of water heater that you’ve always had. For example, you may do well to consider the installation of a tankless water heater—which offers many benefits. Posted in Water Heaters | Comments Off on Should a Tankless Water Heater be Your Next Home Appliance Installation? Is it Time to Invest in a New Water Heater? No matter what model you have, water heaters are known to be very reliable and durable appliances. This is particularly true if you schedule routine preventive maintenance for the system. However, no matter how well taken care of your water heater is, it cannot last forever. There will come a time that you will need to replace the system. In order to minimize your inconvenience, it’s important that you know how to recognize the signs that this time is approaching. Otherwise, you can suddenly find yourself without hot water, which is of course not ideal. Keep reading to learn more about the signs that it’s time to invest in a new water heater. Posted in Water Heaters | Comments Off on Is it Time to Invest in a New Water Heater? Why Should You Choose a Tankless Water Heater? Whether your water heater has broken down entirely or it’s just about ready to replace, you have many options to consider. It’s in your best interest to weight all of these choices carefully to ensure you are getting the most effective and efficient water heater system for your home. You do not have to stick with the same type of system you’ve always used! A tankless water heater, for example, may be a great option for your home. There are many advantages to using this type of water heater, including the fact that you can get hot water on demand. This means you don’t run the risk of running out of hot water from your storage tank. Keep reading for a few of the largest benefits of tankless water heaters. Posted in Water Heaters | Comments Off on Why Should You Choose a Tankless Water Heater? 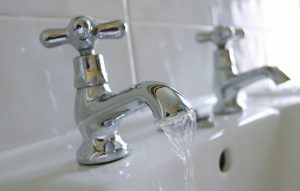 Hot water doesn’t come cheap. Sure, it’s an amenity that we have all come to take for granted, but it’s also one that requires energy consumption. All around us, the cost of fuel is in flux, and nothing is stable for long. What’s more, it’s difficult to ignore the environmental impact of energy consumption, and if you’re at all concerned about environmental friendliness, then you may be looking for a high-efficiency solution to hot water. One of the great benefits of being a homeowner in this modern age is the fact that you have so many options available when it comes to investing in household appliances and comfort systems. Of course, the converse of this benefit is the fact that having so many options to choose from can actually make it difficult to choose your new systems and appliances with confidence. Your water heater in Cottonwood Heights, UT is surely one of the most heavily-used appliances in your home. With that in mind, you really want to take the time to ensure that you choose your system wisely. We’ll briefly discuss the merits of both tank and tankless water heaters below. Contact Design Comfort to schedule your water heater services.